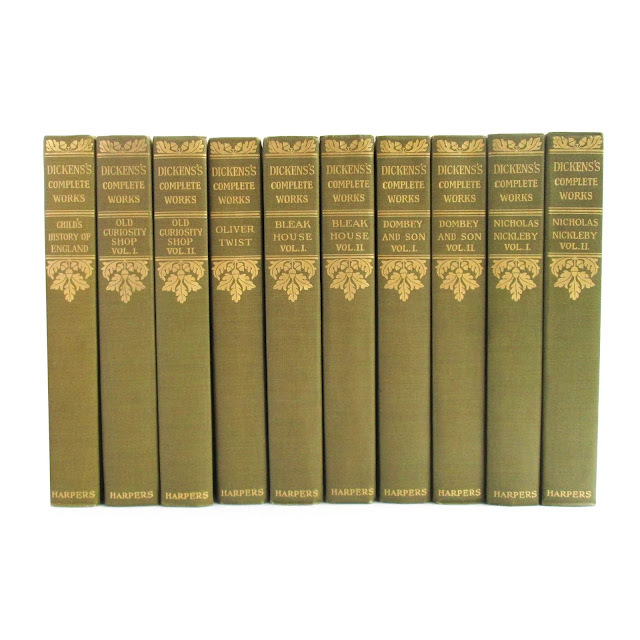 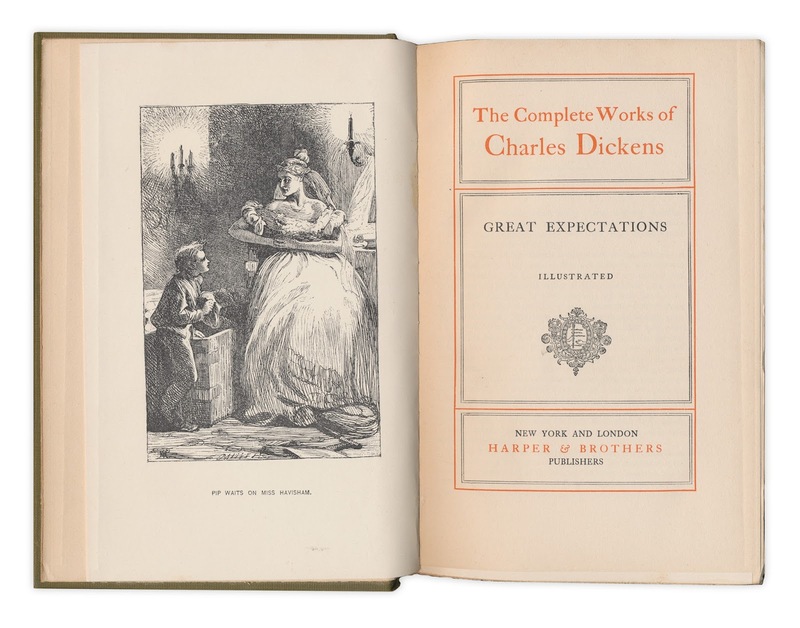 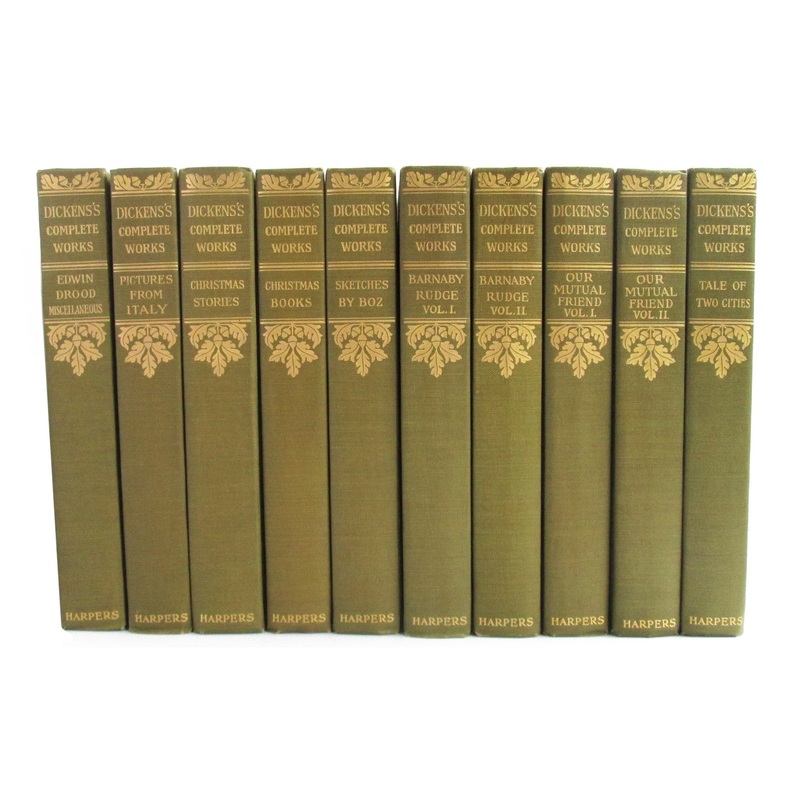 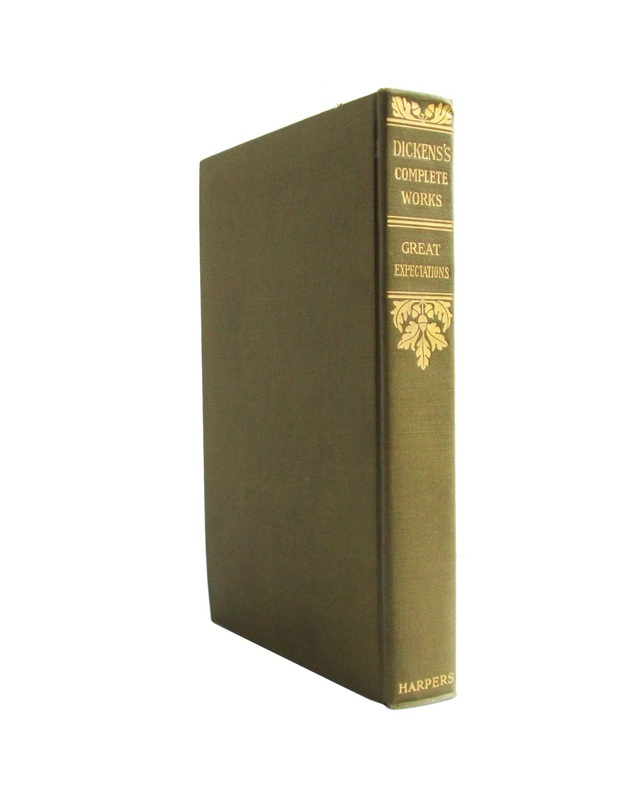 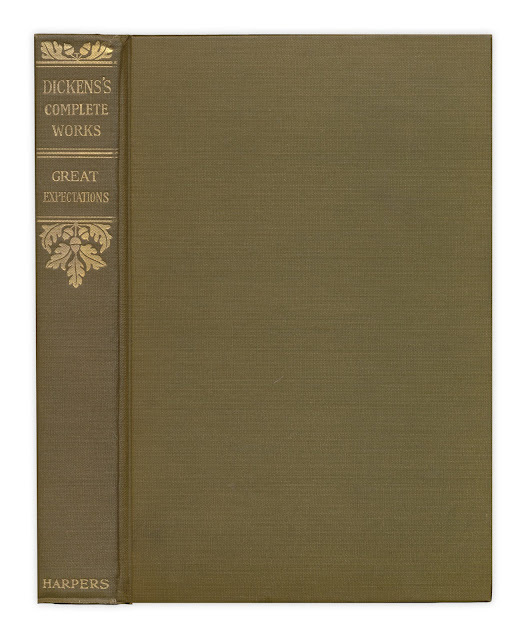 Complete 30-volume set of Charles Dickens works, including: Oliver Twist, Tale of Two Cities, Nicholas Nickleby, Little Dorrit, David Copperfield, and more. 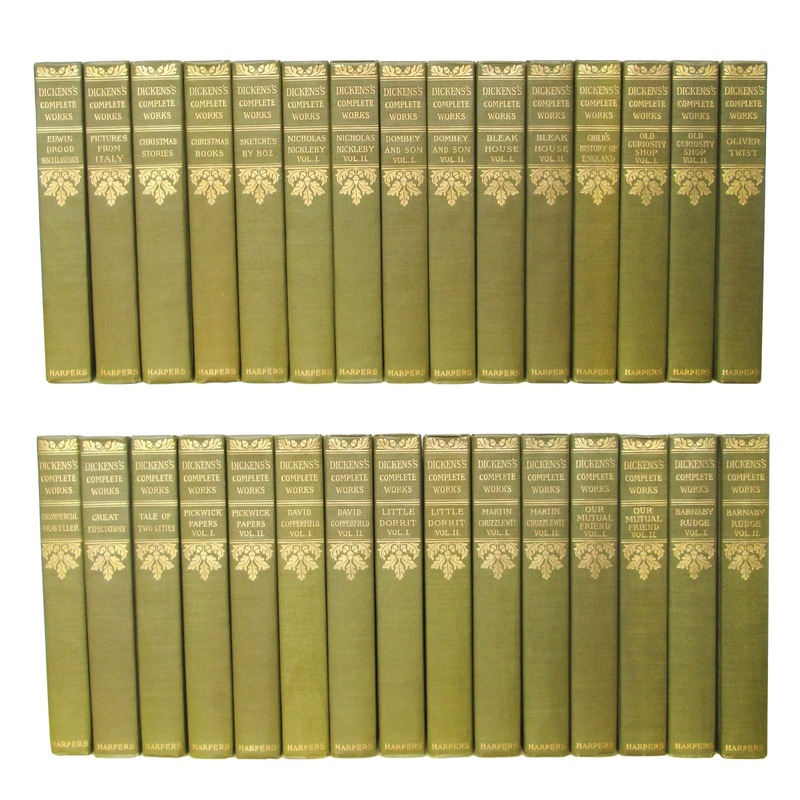 Pages are clean, top page edges are gilt. 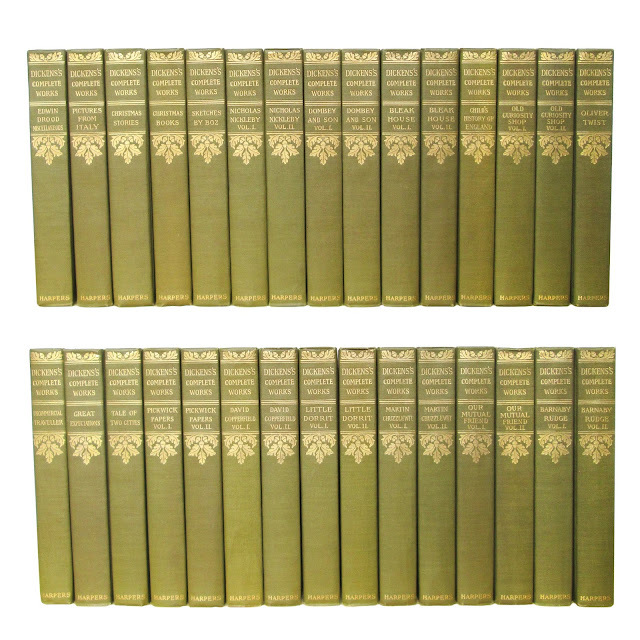 Green cloth bindings with gilt titles. Very minimal wear. Illustrated. 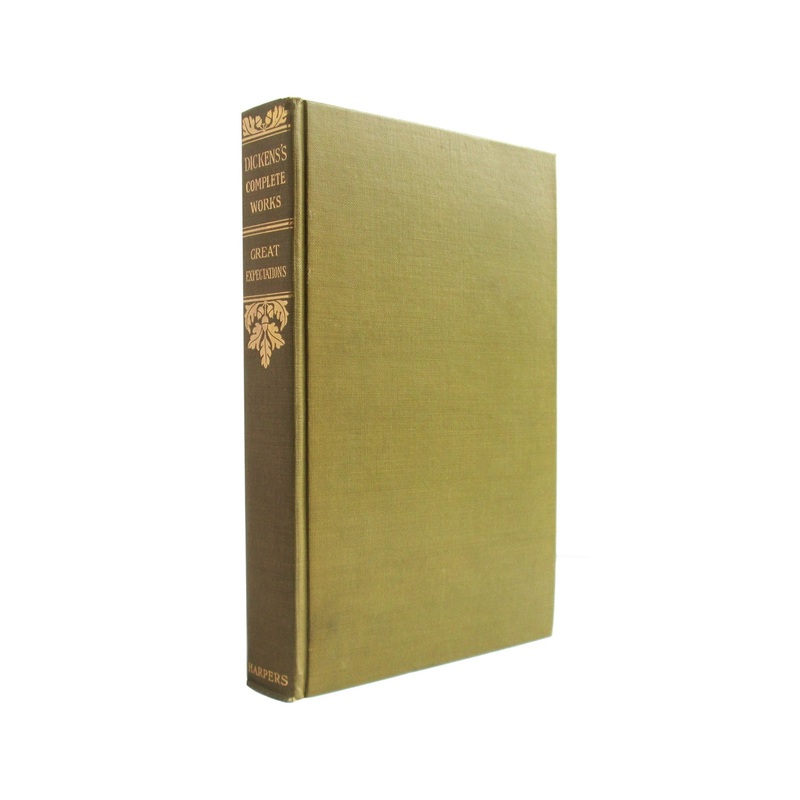 No date listed, circa 1900.